New Woocommerce site created in time for Christmas. 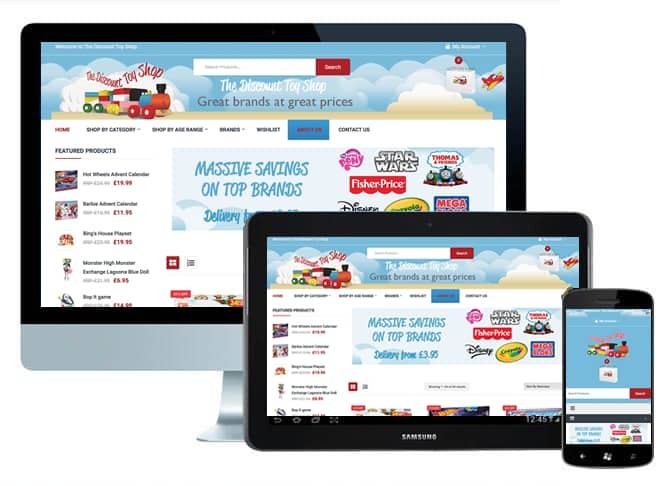 The new website brings the Discount Toy Shop right up-to date with a new fresh look but still managing to incorporate some of the old sites characteristics. The new website is more secure with its SSL certificate and optimised for mobile devices. New products are being added all the time so if your looking for a bargain check them out. www.thediscounttoyshop.co.uk.